WASHINGTON— In response to a legal victory by the Center for Biological Diversity, the U.S. Fish and Wildlife Service today proposed protecting two colorful Southeast fish under the Endangered Species Act, but denied protection for two other fish. The trispot darter in Alabama, Georgia and Tennessee and the candy darter in Virginia and West Virginia will gain final protection one year from today’s proposal. 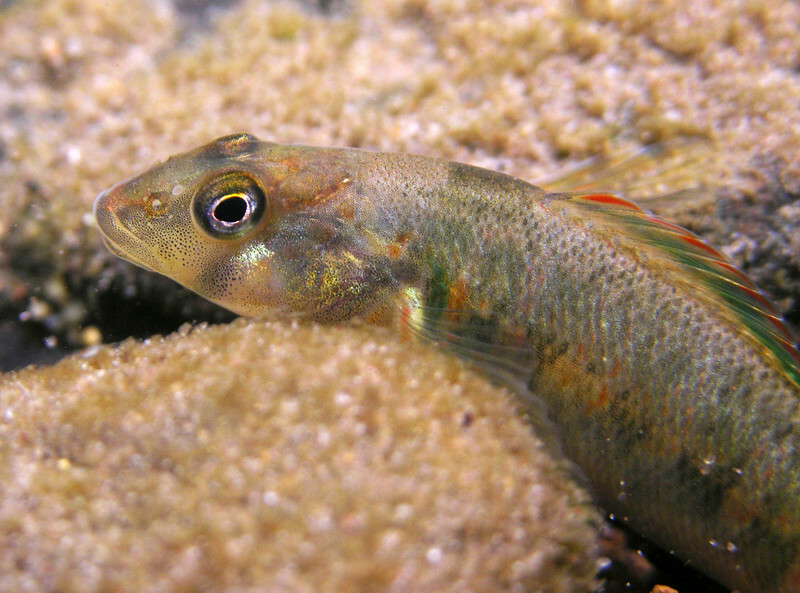 The Service simultaneously denied protection for the holiday darter and the bridled darter, despite status reviews indicating they’re in poor condition. There are six surviving populations of the bridled darter, all in poor condition. Of the seven surviving populations of holiday darter, six are ranked as being in poor condition. The Center petitioned for protections for the four fish in 2010, along with hundreds of other imperiled Southeast freshwater species. The rivers of the southeastern United States are a global hotspot of biodiversity that supports more kinds of freshwater mussels, crayfish and fish than any other region. Freshwater species are being lost to extinction at 1,000 times the natural rate. More than 50 species have already been wiped out from the Southeast’s waterways. Under the Fish and Wildlife Service’s work plan, and in accordance with legal victories by the Center, the Service is slated to issue decisions on Endangered Species Act protection for 53 more species this fiscal year, meaning the findings should have been sent to the federal register last week and come out in the next week. “The Endangered Species Act has prevented the extinction of 99 percent of the plants and animals under its care, and its protection is the best lifeline to prevent more imperiled species from being lost forever,” said Curry. The trispot darter has been lost from 80 percent of its range. It was first identified as needing federal protection in 1982. It grows to about 1.5 inches long and eats midge fly larvae; it’s eaten, in turn, by black bass and other large fish prized by anglers. It is found in the Coosa River watershed in northern Alabama, northern Georgia and southeastern Tennessee and in the Conasauga River watershed above the confluence with the Coosawattee River in Georgia and Tennessee. The trispot darter was thought to be extinct in Alabama for more than 50 years until it was found in Little Canoe Creek in 2008. It is threatened by sprawl because stormwater runoff from urbanization degrades the water quality it needs to survive. It is also threatened by runoff from logging roads and by dams and drought. Of the four management units where it survives — Little Canoe Creek Basin, Ballplay Creek Basin, Conasauga River Basin and Coosawattee River Basin — only the Little Canoe Creek trispots are ranked as having moderate resiliency, with the populations in the other three watersheds being ranked in poor condition. The candy darter has been lost from half its range. There are 18 surviving populations, only six of which are considered to be very healthy. It was first identified as in need of federal protection in 1982. It lives in a portion of the Kanawha and New rivers in Virginia and West Virginia and is threatened by pollution, stocked trout and introduced darters, primarily by hybridization with the variegate darter. Candy darters need cool, clean water and eat caddisfly and mayfly larvae. A population is found in the Monongahela National Forest. The candy darter is very brightly colored and 3 inches long. In today’s publication the Service states they plan to issue a proposal to designate critical habitat for the candy darter in the near future. The bridled darter is a small fish discovered in 2007, found only in northern Georgia and southeastern Tennessee in the Conasauga and Etowah river watersheds. It is a slender, 3-inch fish with overlapping dark, circular blotches on its sides that form undulating stripes. The darter is very sensitive to water pollution and is threatened by runoff from development, logging and agriculture. Holiday darters are 2 inches long and are found in the Coosa River watershed in Alabama and in the upper Conasauga, upper Coosawattee and upper Etowah watersheds in Georgia and southeastern Tennessee. The tiny fish are threatened by sprawl, dams, natural gas extraction and runoff from logging. Males turn bright red, blue and green during the breeding season. Populations of the holiday darter in different areas may actually be different species, and scientists are studying the different populations and writing new species descriptions. Candy darter photo by Racel Mair, USFWS. Images are available for media use.